I made it. It’s been a very busy day today, but I had to come back and share this layout I created for *skip* on Monday night (I think….). Life has been keeping him very busy, he’s been under a lot of pressure at work and doing work out of hours as well and I just wanted to make him smile, even just a little. Which he did! 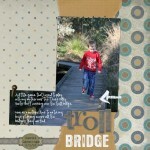 Papers and elements from Jessica Bolton’s Love this guy kit – awesome kit. Love this kit in fact. And I used another of her Painted Arrows – what a fantastic idea these were. And she put so many in – 19 in fact. An arrow for every occasion! Fonts are LoveMeAvenue and FB Sprinkles. Ok, time for bed I think. Well, some sewing or reading or something IN bed at least. cant believe how much you sound like me, last week when my daughter hit school vacation, lol!! gotta take them somewhere..give them some good quality time this year…gotta take alot of photos of summer, hehehe. And sleeping in…do you actually get to do that, lol??? 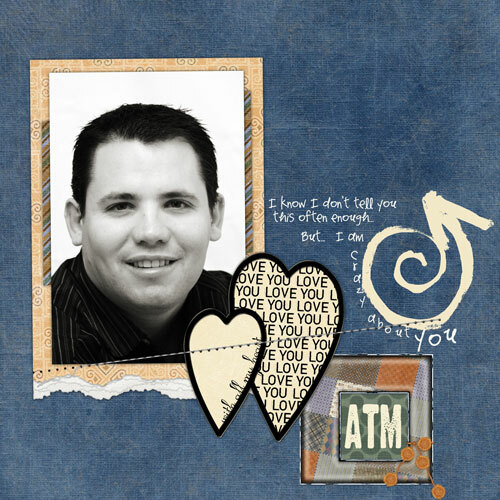 Cassie, this is so awesome, I love how you used this kit, handsome hubby too! Great layout! What a sweet layout, Cass! And how nice of you to get *skip* smiling again. 😉 I just love your style so much.